If your workers are handling packages in a parcel and post sortation facility or moving materials in, through and out of the warehouse, give them powerful voice-directed applications that will let them get the job done faster and right in every inch of your warehouse including the freezer. With the WT41N0 VOW on the arm or hip of your workers, voice direction can walk them through their tasks, so they can keep their hands and eyes on the items they are moving. Workers can count on crystal clear voice quality. Voice-directed applications are highly intuitive, so there is very little training required. Applications are easily delivered in the native language of your workers. 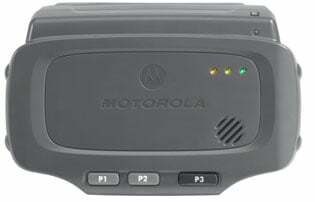 The Motorola WT41N0-V1H27ER is also known as MOT-WT41N0V1H27ER	or WT41N0V1H27ER	.